Only 71% of German households had access to more than 50 Mbit/s bandwidth in 2016. Many public utilities and supply network operators are now also investing in the expansion of broadband networks. Appropriate IT support is needed to manage the networks. Because fast Internet offers many new possibilities, for example with smart TVs, the demand for ever larger bandwidths is increasing. Many local network operators are therefore investing heavily in the expansion of FTTX networks, opening up a new business segment. This also increases the need for supporting IT systems. 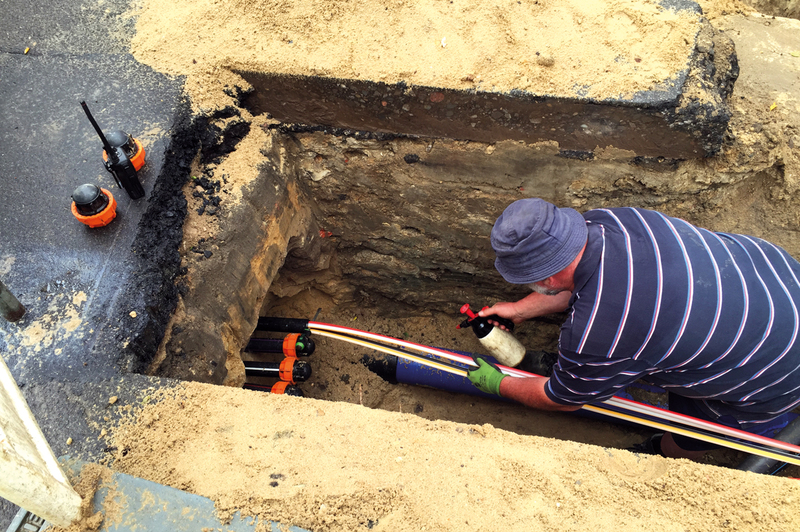 Since FTTX networks are laid in the form of empty conduits, we at Mettenmeier contribute our experience with cable and pipe networks to develop GIS-based applications for network documentation. Our strengths in work and project management in network construction are used in the extensive investment projects in the field of FTTX networks. In cooperation with distribution network operators, we have developed the pipe management module for Smallworld GIS for the documentation of empty conduit networks and their allocation with broadband and other media. Our workflow and portal solutions or our maintenance and planning systems (AM Suite and OPTIMUS) are used for investment and maintenance projects. Highly efficient services for the conversion of data round off our portfolio.